Dr Sarah Moore, Lecturer in Sociology (Department of Social and Policy Sciences, University of Bath). 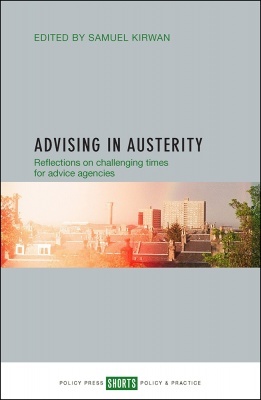 There is also a related PolicyBristol policy briefing ‘Advising in Austerity: How Citizens Advice can adapt to uncertain times‘. 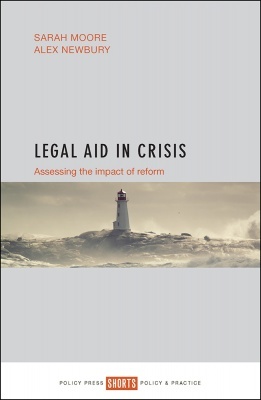 This entry was posted in Uncategorized and tagged access to justice, Advice sector, austerity, civil representation and litigation, cuts, Exceptional Case Funding, funding, Guest post, LASPO, law centres, legal advice, legal aid, Legal Aid and Sentencing of Offenders Act 2012, legal support, litigants in person, public knowledge, research nutshell by policybristol. Bookmark the permalink.